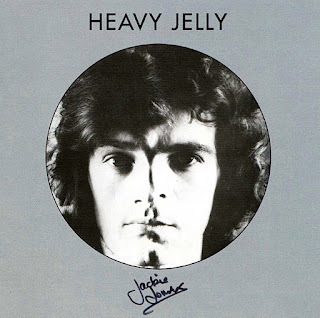 In 1970 Jackie Lomax joined Heavy Jelly following on from his spell in the late 60’s as the first ever signing as a solo artist with Apple Records and being championed by The BEATLES. Heavy Jelly consisted of former AYNSLEY DUNBAR members and the drummer from The ANIMALS. The band recorded in 1970 their debut album. Heavy Jelly initially were a fictitious group that somehow became a real band. Because of contractual problems with Apple the album has never before been officially released until now. This long lost 1970 album has attained legendary status and has appeared in bootleg form over the years. Following Jackie’s untimely death in autumn 2013 his family has resolved all contractual issues with Apple amicably and they have given their approval for the album to be released on CD at last. Fellow Apple Records label mates Pete Ham and Tom Evans from BADFINGER appear on the album as well as The Rolling Stones wind section Bobby Keys and Jim Price. 'Bio Blues' bears all the hallmarks of a classic blues-rock composition, while the more rock-orientated is amongst the best tracks on this album. Closing number 'Take Me Down To The Water' welcomes Badfinger's Pete Ham and Tom Evans on guest vocals, or harmony vocals to be more precise. It's a track that seems to go on forever as well, though that is fine with me. The heady turn on, tune in, drop out undertones set a nice contrast to the more obvious blues-laced overtones and a gently pounding rhythm - lending the song its heartbeat. A true gem of 70's blues-rock and thankfully, it can be shared with the world. A nice blues rock album, thx Marios!